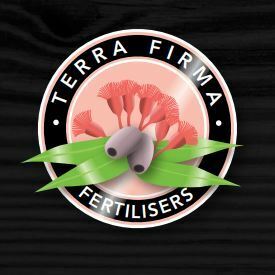 Since 1987, Terra Firma Fertilisers has specialised in the manufacture of organic and organic based fertilisers to suit the needs from the budding gardener to the commercial grower. 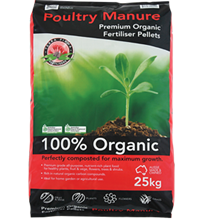 Products are available in loose bulk, bulk 1 tonne bag, 25kg, 5kg and soon to be released 15kg sizes. Terra Firma is a family owned 100% Australian Made business. Please note that we do not ship single bags of product due to freight cost. 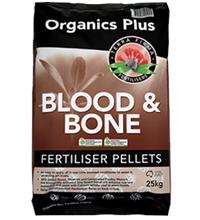 We can quote on bulk purchases otherwise the Terra Firma range is only available in store. 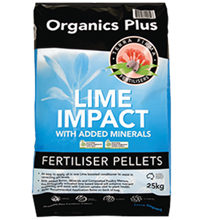 Easy to spread pelletised lime blend. 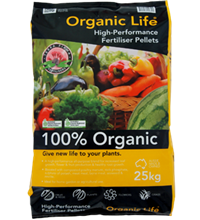 BFA certified organic pelletised nutrition for fruit, veg and flowers.